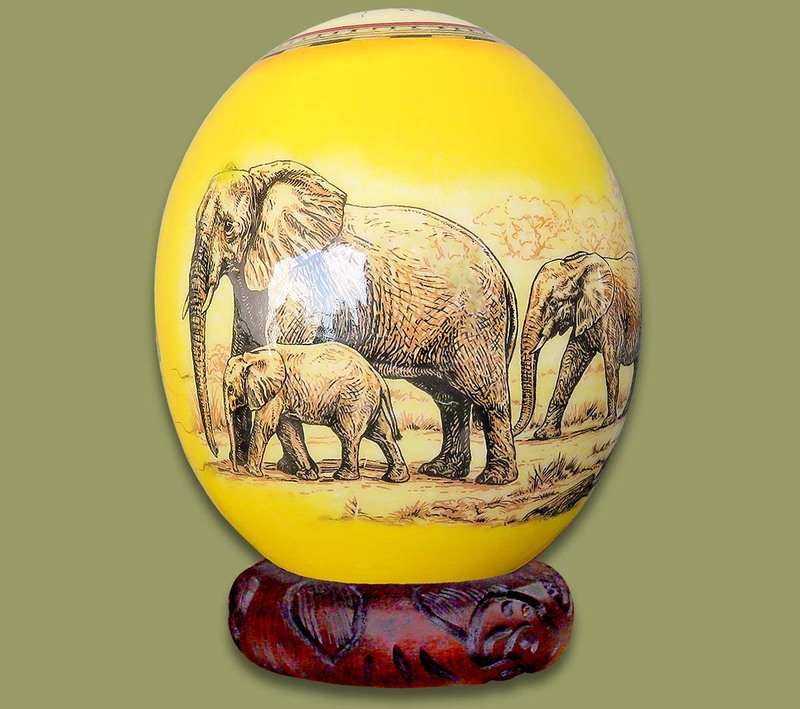 Decoupage Ostrich Egg Elephant Family Yellow. Supplied in a cardboard box (box size: 15cm x 15cm x 19cm). Does not include the Ostrich Egg Stand - please order the stand separately below. Ostrich eggs are incredibly robust and there is absolutely no problem with shipping anywhere in the world, however in the event the shippers mistreat the cargo there is a remote possibility of breakage. DISCLAIMER: in the event of breakage Earth Africa will accept no responsibility, all Ostrich Eggs are ordered "at own risk". Supplied in a cardboard box (box size: 15cm x 15cm x 19cm). NO MINIMUM QTY FOR MIXED OSTRICH EGGS.